As is becoming increasingly common in our modern blockbuster era, superhero comedy Deadpool 2 got sent back for reshoots earlier this year. Although the decision to reshoot sometimes gets seen as a last-ditch effort to “save” a film that tested poorly, more often than not, these days, it’s all about specifically tuning the movie to give test audiences more of what they want. And what they wanted, in this case, was more Cable and Domino. This is per Collider, which reports that Josh Brolin and Zazie Beetz’s new additions to this scatalogical little corner of the wider X-Men world were popular enough that fans were questioning why there wasn’t more of them in the film. 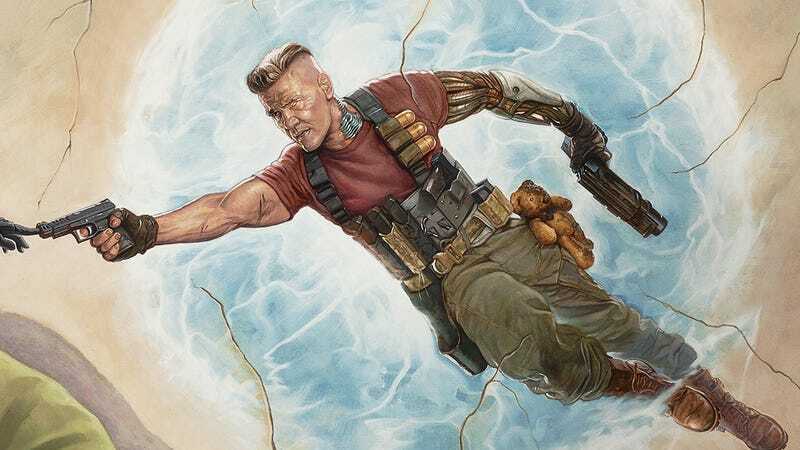 And so the Marvel movie gods answered those pleas in the affirmative, slotting more of the gun-toting mutant mercenaries—who marketing materials have painted as the straight men to Ryan Reynold’s babbling badass—into the film. Never let anyone say a massive movie studio attempting to double down on its unlikely cinematic successes never gave you anything, folks. Deadpool 2 arrives in theaters on May 18.